We can pre-arrange airport pickup and drop off for you to coordinate with your flight schedules along with transport for you during your stay at the villas. We can arrange transport for you to and from the airport. The transportation costs are not included in the rental rate and do need to be paid to directly to each driver after arrival at the airport. Please note although the airport is only about 20 miles away it can take about an hour and a half if there’s a lot of traffic. Please make sure you leave with plenty of time to spare! Transport to and from the airport costs approximately 300,000rp ($27). 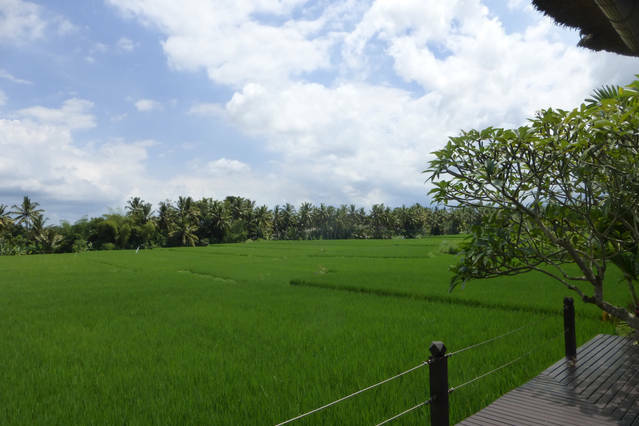 Ubud has plenty of drivers and Lodtunduh village has a taxi service. If you want to use transport during your stay, for example to go on a sightseeing tour or to go out and have dinner, we can assist you to arrange the services of one of the drivers we work with. They all speak English, are very good guides and they know the most beautiful places to visit in Bali! Car rental with a driver is approx 400,000-600,000rp per day. There’s a taxi service right in our village to take you into town (about $4), just a few minutes drive away. If you would prefer to drive yourself, either by car or moto please ask our staff who will be able to arrange rentals for you. Please Contact Us for more information on specific transport during your stay or reservation inquiries.